New (academic) year, new opening hours! Special Collections & Archives 2018: now available for you 5 days a week. Windmills at the ready! Is there anything better than the start of a new term? Everyone is back (and so far, deadline free), the gorgeous campus is turning shades of autumnal yellows and reds, and there’s something pretty awesome about that new-pencil-case start of year fresh-leaf-of-paper type feeling. 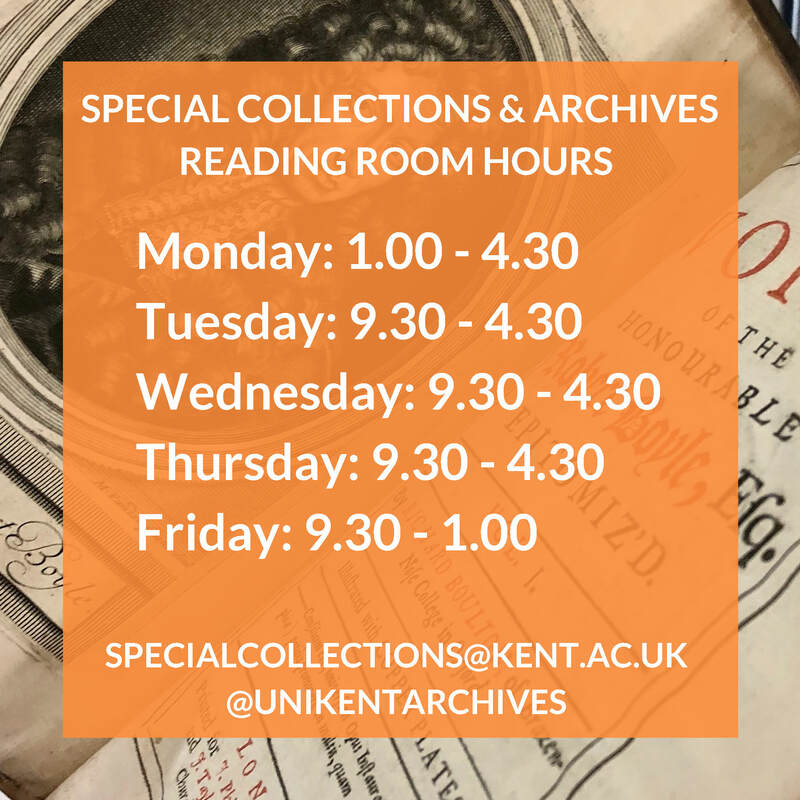 In answer to that question: yes, there is something better: new opening hours for Special Collections & Archives! Following on from the extensive Templeman Library refurbishment, we’re delighted to be able to extend our service to five days a week. We are going to be open three full days – Tuesday, Wednesday and Thursday between 9.30 – 4.30 – and two half days, Monday afternoon and Friday morning. These opening hours begin next Monday (24th October), and we’ll keep reminding you telepathically (or via social media / our website / normal channels) about the change for the next month or so. We’re really excited about being able to open more consistently during the week, and hope that the general lack of Wednesday afternoon classes will enable more of you to come and visit us (as well as allowing you a lie-in on Monday – not us, sadly). Let us know what you think of the new opening hours, and as ever – any questions, do get in touch. Have a great term, everyone, and we look forward to seeing you soon! This entry was posted in News and tagged Accessing collections, Opening hours, reading room by Joanna Baines. Bookmark the permalink.